After a few month of work it’s finaly time to escape out of the city again. Leaving the chaos back behind on our way south. 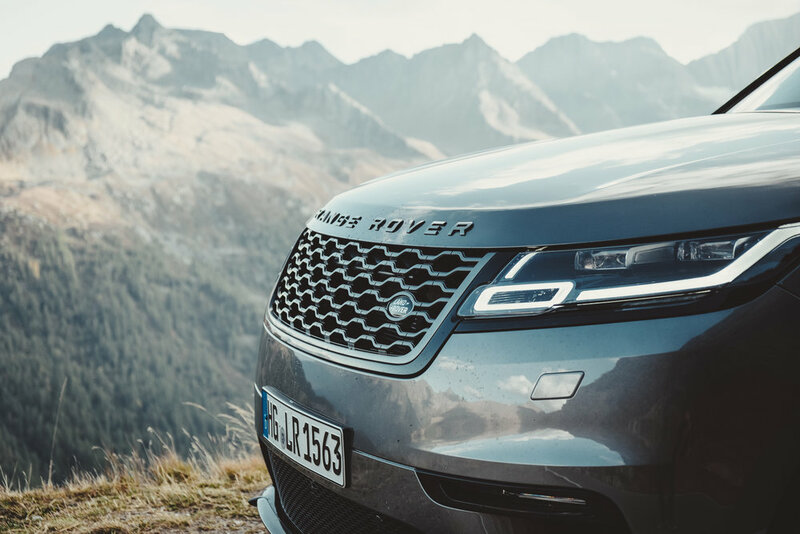 I always wanted to go on a road trip with this car - the Range Rover Velar. It’s looking absolutely sporty with this coupe-ish silhouette and as it’s not a small car it’s made for long distances. It’s a good feeling to be back an the road. I love driving, no matter how far the route will go. It’s kind of cleaning my mind when cruising down thousands of kilometers. And with the Velar it’s incredibly comfortable too. As we’re looking for some recovery and the Range Rover is a true 4x4 we thought a trip to the Alps would be perfect. And so it was! A few hours and nearly 1.000 kilometers after our start in the early morning we could saw the mountains. No matter how many times I had this view, it’s so impressive over and over again. And when you have your first strong breath, you know you’ve arrived. The benefit of travelling at unusual time of day is that you could be one with the nature. You could see things that were impossible to find during overrun tourism times. And while cruising as many mountain passes as we could, we found this picturesque lake in a hidden valley. The perfect quiet place we were looking for. The weather wasn’t always sunny - and that’s good ! Mysteroious clouds were hanging on the peaks. It’s freezing cold. 0°C at about 3.000 meters above sea level. First snow flakes were falling down. The streets are empty, no one is outside. Just perfect for antoher day of driving fun. Inside the Velar it is so cozy, you would never get out of it. Not only when it’s that cold outside. As elegant and luxuious as the Range Rover is, he knows how to make me smile the sneaky way. One word: SPORT MODE. We had some perfect days up in the mountains. Thank’s for making it that graceful, big fellow Velar. To be continued !